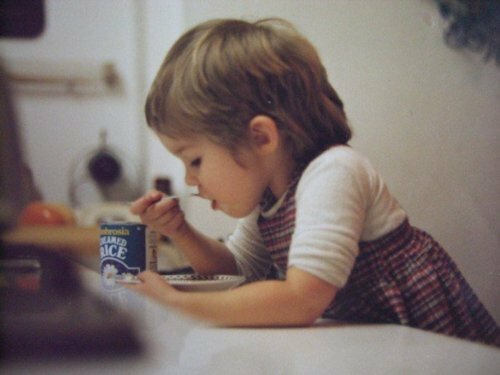 I have always been obsessed with food. When I look back at my childhood diaries, they are not full of what happened at school, my friends or who I fancied… instead they’re full of what I had for breakfast, then lunch and what I was going to have for dinner. Or what new chocolate bar/biscuit/crisps I had discovered. If I was on holiday with my family, I’d write about the different foods I found in whatever country I was in. Or even the different ways they served it. I remember going to Italy and being served a pizza on a wooden chopping board. I thought that was amazing. I had never seen anything served on a chopping board before. 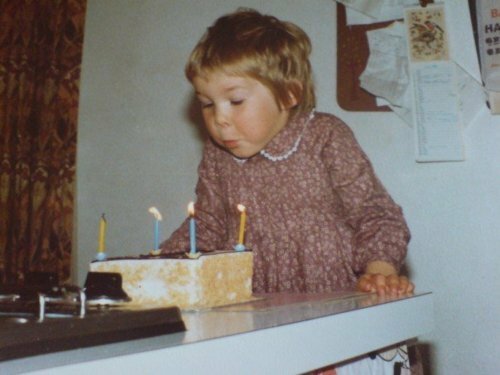 Remember, this was about 30 years ago. I did, of course, draw a picture of it in my diary. And when I went to France and I was served Pommes Rissolées, crisp, cube-shaped, pan-fried potatoes…again, I thought this was an ingenious way to serve up potatoes. Of course, I drew a sketch of those in my diary too. When we went to York, instead of being excited about visiting the Yorvik Viking Centre, I was excited that there was a Sainsbury’s in York. At that time, Sainsbury’s hadn’t reached Scotland (again, this many, many years ago) but I’d heard of it. I knew it was a huge supermarket and I knew there would be foods in there I hadn’t seen yet, and so I was desperate to go. My parents, quite rightly, refused to visit a supermarket whilst on a visit to the historical city of York! When I was 14, I wanted to get a part-time job, so I contacted my local deli. It was a Jewish deli. Coming from Glasgow, where there is a very large Jewish population, it was the natural choice. A lot of my school friends were Jewish and I was introduced to ‘Jewish food’ when I ate at their houses, so I had some knowledge of the food when I went to the deli. I got the job and every Sunday morning, I’d run excitedly down the road to my new job. As I entered the deli, I’d be hit by the intoxicating smell of freshly-baked bagels. The local bakery would drop them off….over-flowing sacks of poppy seed, sesame seed, onion and plain bagels…so warm and soft. I can still remember that smell so clearly today, it was incredible. Working there, I became addicted to warm sesame seed bagels with smoked salmon and cream cheese, latkes, salt beef sandwiches and matzo ball soup. I loved it. I worked there for a couple of years but when I began to need a bit more pocket money, I decided to move on. I got a job in Sarti, an Italian deli and restaurant. 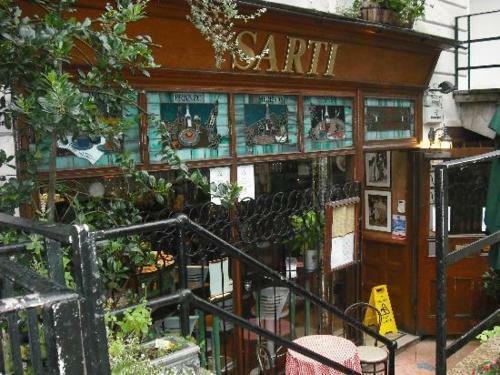 When I was growing up in Glasgow, Sarti was a food institution. Everyone loved it. The original deli/café was on Wellington Street in Glasgow City Centre but when I started looking around for a new job, they were opening their brand new restaurant around the corner on Bath Street. I, along with load of other hopefuls, turned up to the ‘interview’. The restaurant was still being renovated so it all felt very exciting. I got the job and I was soon working there several evenings a week and at weekends. I loved it. To be honest, I would probably have worked there for free. I loved talking about food, I loved suggesting food to people, I loved watching it being prepared and I loved seeing people’s faces as they ate it. I used to work between the two sites but I think the Wellington Street site was my favourite. It was the smaller of the two but it had more atmosphere and it felt more authentic, given that there was a deli in there too. The deli manager at the time, Mario, would go through all the ingredients with me. I discovered palm hearts, artichoke hearts, buffalo mozzarella, aged balsamic vinegar, all different types of salamis and Parma hams…I was hooked! I worked at Sartis for years and only left when I moved to Edinburgh where I went to University. 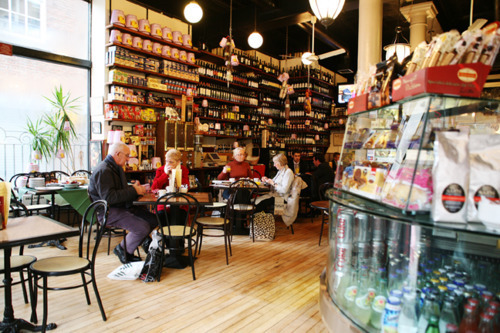 For anyone who knows their British delis, you will know that Edinburgh has one of the best delis in the country – Valvona & Crolla. So of course, that was my first stop in the hunt for a job. Luckily, I got it and it turned out to be the best food education I could ever have hoped for. 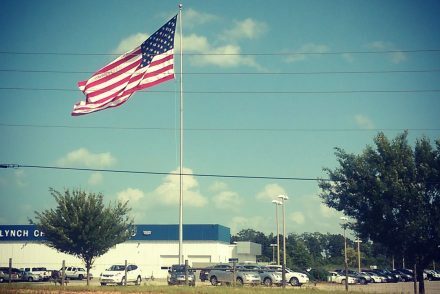 Valvona & Crolla has been open since 1934. It is an Aladdin’s cave of food – floor to ceiling wonderfulness. I used to love watching people come through the door…everyone’s face was the same – their eyes would widen and their mouths would drop open as they tried to take everything in. When you walk through the very unassuming front door, you are immediately transported to all that is good about Italy. The smell is intoxicating and the shelves are full to bursting from floor to ceiling. 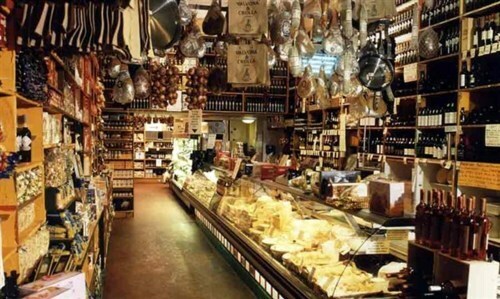 There are salamis and parma hams dangling above you, there are cheeses to the right of you and chocolate to the left, it really is a feast for the senses and you almost don’t know where to start. My favourite counter to work on was the cheese counter. I took so much pride in it. I made sure I knew everything there was to know about each cheese, then I’d tempt the customers who were queuing next to it to try the samples. It worked every time. No-one could try the cheese then not buy any. The cheese is fantastic. The gorgonzola dolce would actually start running off the board when the weather was warm then we would have to scoop it up with a spoon. It’s still my favourite cheese today. The meats are fantastic, the pastas are incredible. They have everything from nettle ravioli to pumpkin tortellini. The coffee is excellent, as is their Italian wine section. They make all their own bread, pastries & cakes (all of which are amazing). I highly recommend their almond croissants. I have not yet found a better almond croissant than the ones I used to eat in Valvona & Crolla. 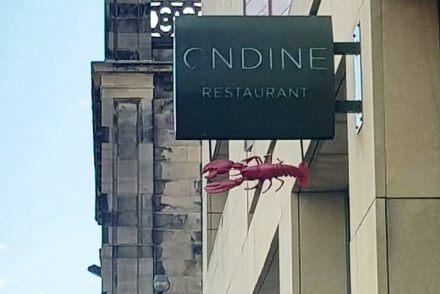 If you are ever in Edinburgh, this has to be one of your first destinations. Once I graduated from University, I left Edinburgh and moved to London to get a ‘real job’ but I still missed working in those delis. A few years ago I was working in a job I felt completely unsatisfied with. On a whim I quit and as I was walking back from work that day, I walked past a branch of Carluccio’s in Putney, London. 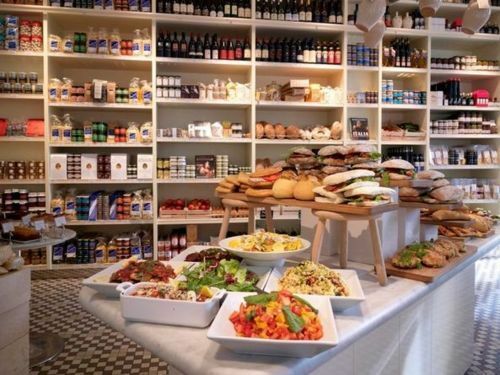 Carluccio’s is a chain of Italian caffe’s and delis in the UK. Without really thinking, I walked in, asked to speak to the manageress and asked her for a job working in the deli. I told her I had worked in delis since I was 14 years old and that I‘d worked in Valvona & Crolla in Edinburgh as a student and I was offered a job on the spot. I was told to start the next morning. I was so delighted, I practically skipped to work that morning. About 3 weeks into the job I asked the manageress if I could become a deli manager. I was told that they were opening a new branch in Richmond and once I was trained up properly, I could manage it. I have never loved a job more. Yes, it was exhausting having to be at work for 6am every morning but I was so excited about being around food all day I used to jump out of bed. There was something really special about walking into the deli when no-one else was there and I could set it up by myself, just the way I liked it. I took so much pleasure in displaying the meats and cheeses and breads. I think everyone thought I was a bit crazy but for me it was the perfect job. Unfortunately, working in a deli doesn’t pay very well. I’d taken a pay-cut of £15k a year to work there and my debt was starting to mount up, then other personal reasons meant I had to leave London for a few months and I had to resign. I’m now back working in a ‘real job’ in London but this blog has allowed me an outlet to keep my hand in food. However, I still miss working in those delis. I pretty much talk or think about food all day long and it was so lovely to have a job where I was paid to talk about food all day long. Nothing has changed! My passion for food has grown over the years and one day I hope to have my own deli/café/bakery, or get a job in the food industry. I’m not sure how or when I am going to do this, but that’s the dream. 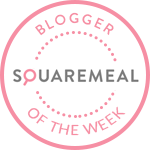 Recently I have been made Blogger Of The Week by Square Meal and I am also a blogger for Time Out London. If you would like to get in touch, you can find me on Twitter, Facebook and Instagram. Or you can email me at victoria_cameron@hotmail.com. In order to change career and work more in food, I left London with a very heavy heart and returned to Glasgow after 22 years away. 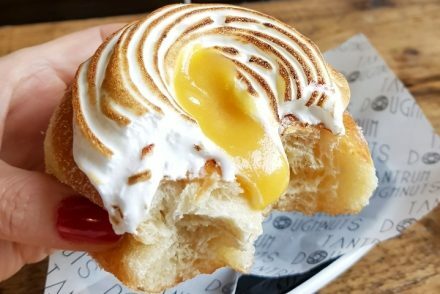 Eating out in Glasgow and Edinburgh prompted me to create a new website called Spoonful Of Scotland, detailing my favourite places. I have also set up a photography and social media agency called Creative Parrot with my friend Julia who is a professional photographer and stylist. Recently, I was very surprised and humbled to be nominated and made a finalist for ‘Most Dedicated Blogger’ by Scotsman Food & Drink Awards. Seeing my competition, there is no way I’m going to win, but its lovely to be nominated. From one WordPress newbie to another, great intro and thank you for sharing. I am fortunate to have visited Valvona & Crolla – thought I stepped into heaven. 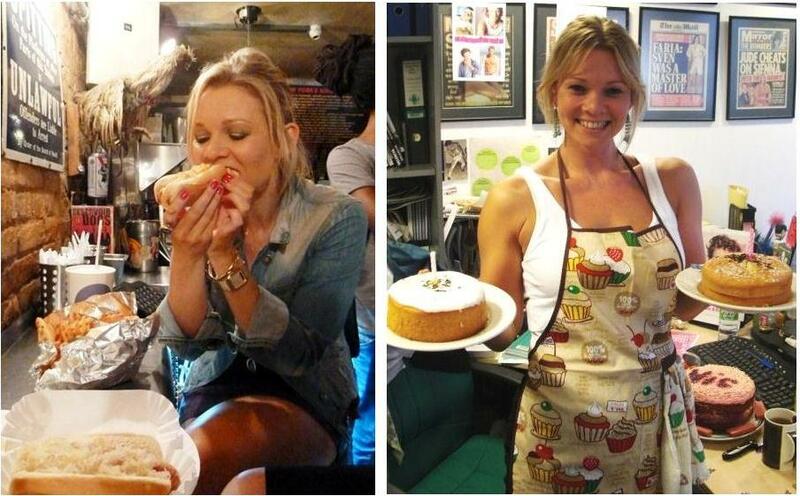 Also, I lived in London for 6 months & hope to live there again someday….so I will be eagerly following your eats! Aw thank you! I’ve had a blog on Tumblr for a year but decided to move to WordPress yesterday so I’m currently transferring a year’s worth of blog posts! 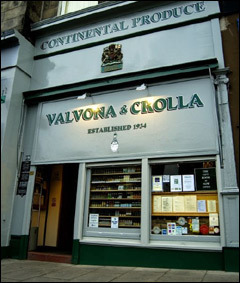 I adore Valvona & Crolla and visited it a couple of weeks ago when I was in Edinburgh catching up with friends. It has hardly changed. It has the same amazing smell and I still got that excited feeling when I walked through the door. Love it! Fabulous About Page! The deli shots are stunning and I love that you included childhood pictures illustrating your early love of food. I look forward to following and reading more. Thanks for stopping by my blog and subscribing! 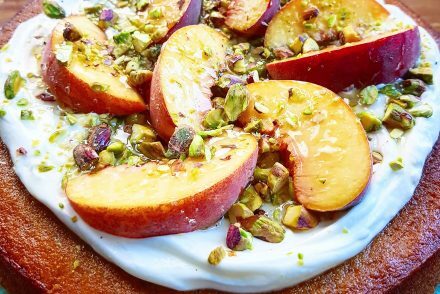 I love your story – your passion for food literally jumps off the page! I am so glad I came across your blog today! I got a chance to visit London in May and I absolutely adore everything about England and I cannot wait to go back. I look forward to reading more wonderful posts from you. Love your blog! I have nominated you for the following four awards: Very Inspiring Blog Award, Best Moment Award, Sunshine Award & Versatile Blogger Award. You will find the blog post here: http://wp.me/p37Hgt-qP! Hello, what’s the best way to get in touch with you? HI there! You can email me at victoria_cameron@hotmail.com. • 25% off discount code to use at DotComGiftShop. • Regular complimentary products to review and give away in competitions. • Entry to our exclusive bloggers’ competition, with the winner receiving an iPad. We’ll also provide a badge for your site, saying ‘DotComGiftShop Fave Blog’. • Review some of our lovely products that we’ll send you from time to time, to tell us and your readers what you think. If you are interested in becoming one of the members of our network, let us know with a quick reply to this message. I am definitely interested in becoming one of the members of your network. Can you send me the badge so I can add it to my blog? who took the picture of you eating the rice pudding? it’s the real thing, as is your appreciation and description of food, nigella is over, you’re the new black. I no longer receive your blog, has a spoonful of sugar closed. The last one I received was in April. Great Blog! We’re looking for London food bloggers to test out some dining experiences for us. If you send me your email I’d be happy to send you some further information.